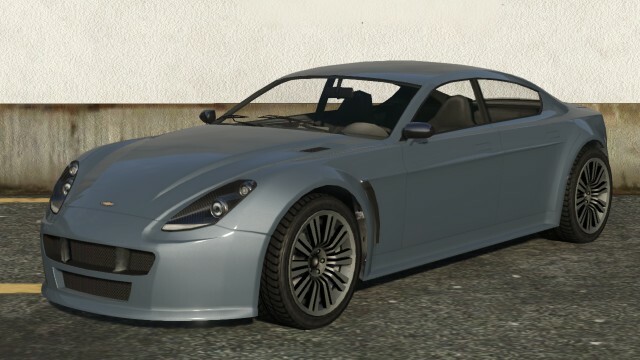 Dewbauchee Exemplar is a type of Coupe Vehicle in GTA 5. The Dewbauchee Exemplar is considered as a Coupe although it has four doors, suggesting that it is a 4-door coupe or a fastback sedan. The car’s design is based fully as a four-door version of the Rapid GT. One difference is the exhausts which are smaller and located underneath. 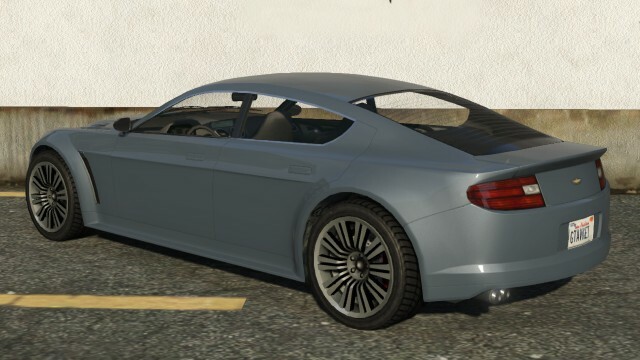 The Dewbauchee Exemplar is heavily based on its real life vehicles, the Aston Martin Rapide with the front end derived from the Ferrari California, and also takes design cues from the Mercedes CLS-Class. The Exemplar features a front-engine, rear wheel drive layout and it has almost excellent top speed and traction with acceleration lagging behind a little. The brakes are also a mix and match of good and poor. Its light weight and good weight distribution makes it possible to take corners quickly without loose or losing control. The Dewbauchee Exemplar is the best handling of any 4-doors sedan in the game, over the Jackal, Oracle and Felon. This is one expensive car. It will cost you $205,000. The additional mods for Dewbauchee Exemplar include Turbo. If you’re transporting multiple people in a mission then this car isn’t for you. However the Dewbauche Exemplar is a great road vehicle, allowing you to navigate the roads easily at high speeds. This car spawns in front of the house south of Dr. Friedlander’s office during Abandonment Issues. This car sometimes seen driving around Vespucci Beach . The Dewbauchee Exemplar Found in Northern Rockford Hills around Michael’s safe house, and in areas around this point (Richman, Vinewood Hills, Vinewood). Rarely seen driving around Little Seoul.